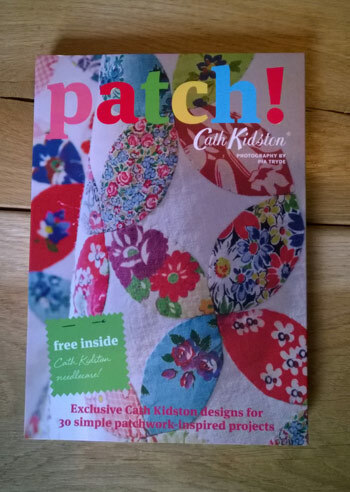 My wonderful husband, Pete, bought me ‘Patch’ by Cath Kidston as a surprise. 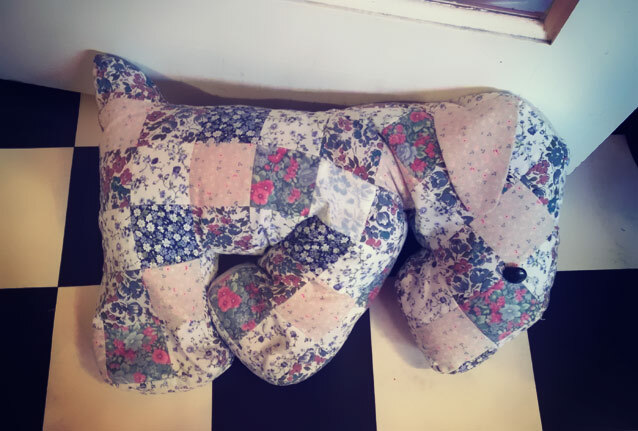 I decided to make the Cath Kidston patchwork dog for starters. 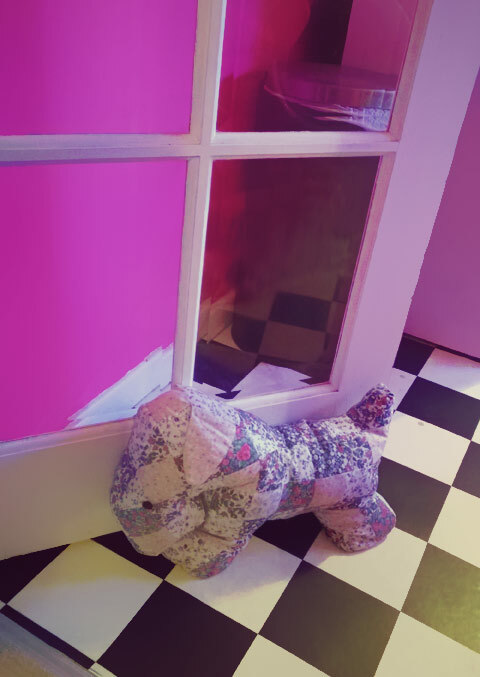 In the book, it’s supposed to be stuffed with a polyester toy filling, but I weighted the feet with red split lentils so we could use it as a doorstop for the kitchen door. I got quite confused about what sizes to make the triangles – under the instructions it said to cut out one hundred 7cm squares, five 7 x 10cm rectangles and ten triangles. “But what size do I make the triangles”, I kept asking myself! It was only at the end that I realised there were templates at the front of the book. It was a nice, quick project to do; and he gets used all the time. There’s a few nice bags in the book, so that’s probably what I’ll try next.